What this cautionary tale of a young man raised high above his station by a mysterious benefactor lacks in length, it more than makes up for in its remarkable characters and compelling story. The novel begins with young orphaned Philip Pirrip--Pip--running afoul of an escaped convict in a cemetery. This terrifying personage bullies Pip into stealing food and a file for him, threatening that if he tells a soul "your heart and your liver shall be tore out, roasted and ate." The boy does as he's asked, but the convict is captured anyway, and transported to the penal colonies in Australia. Having started his novel in a cemetery, Dickens then ups the stakes and introduces his hero into the decaying household of Miss Havisham, a wealthy, half-mad woman who was jilted on her wedding day many years before and has never recovered. Pip is brought there to play with Miss Havisham's ward, Estella, a little girl who delights in tormenting Pip about his rough hands and future as a blacksmith's apprentice. Charles Dickens was born in Portsmouth in 1812, the son of a naval clerk. The family moved to London when he was 10 years old, and for a while they were retained in Marshalsea debtors' prison. Aged 16, Charles became a court reporter, then a journalist, and then an author. He was a prolific writer throughout his life, publishing novels, plays and short stories. 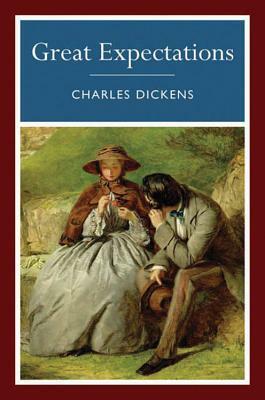 As well as A Christmas Carol (1843), his most famous works include The Adventures of Oliver Twist (1837-9), Bleak House (1852-3), and Great Expectations (1860-1).